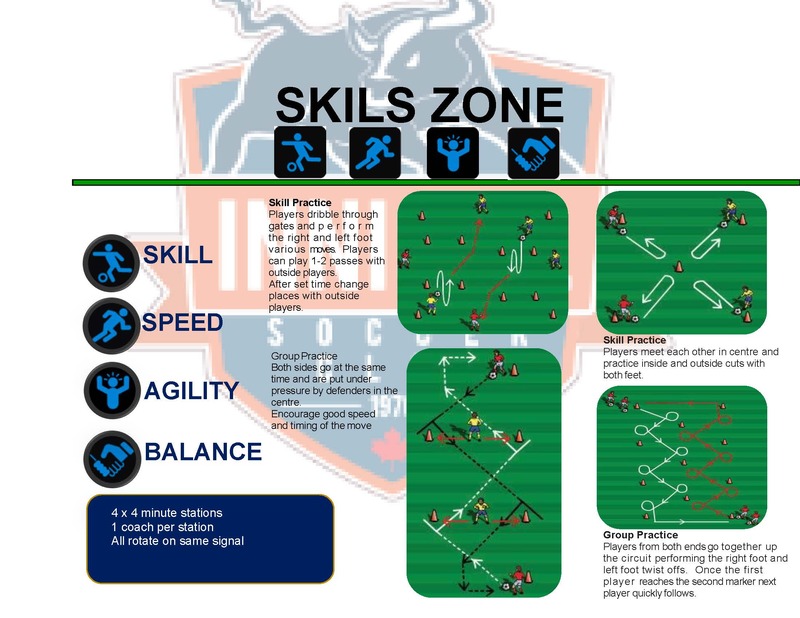 Coaching at the grassroots level of the Innisfil soccer Club, its imperative that we provide a comprehensive tool box that will help all our young players acquire the individual skill sets, that will help address one of the most important parts of the game, 1v1. This program will serve as a key factor in the LTPD program with a emphasis on creating technically sound players that can retain possession of the ball using various 1v1 moves. Moreover, also equip our young players with moves that will ignite and excite when they master and identify how, when and where to execute these various 1v1 moves. This program will help our young players master the skillset required on the field by focusing on repetition using technique and skill under pressure on the field and at home with our 1v1 home resource. All the worlds best soccer players have moves to beat opponents and retain possession. Therefore, it is a great surprise that it’s the least practiced component of most youth training sessions. The ISC has implemented this program and we are now starting to see the fruits of our work. Manfred Schellscheidt: "I don’t believe skill was, or ever will be, the result of coaches. It is a result of a love affair between the child and the ball". ISC is following this coaching method along with our own tried and tested individual skill development program, with a focus on individual player improvement. All children are dealing with a growing amount of outside interests and a lack of street soccer (free play). It is more important than ever that we help our young players understand the importance of individual self improvement (home work) by the use of deliberate practice. Here in Canada, winter practice is an expensive business and in most cases its limited to one hour sessions, these sessions must involve not only technique but also skill which consist of a game like situation with the use of full pressure. With this in mind, ball mastery is limited to maybe 5 or 10 percent of the sessions. Therefore, home improvement based on individual moves and ball mastery is more important than ever. Moreover this self improvement program will help prepare the players for the following weeks session, which will incorporate the previous weeks home work through a limited pressure to full 1v1 situation.